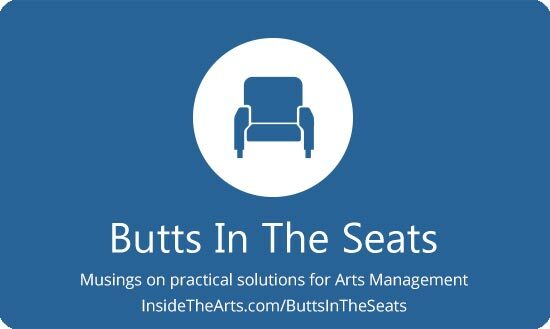 I have been writing Butts in the Seats (BitS) on topics of arts and cultural administration since 2004 (yikes!). Given the ever evolving concerns facing the sector, I have yet to exhaust the available subject matter. In addition to BitS, I am a founding contributor to the ArtsHacker (artshacker.com) website where I focus on topics related to boards, law, governance, policy and practice. I am also an evangelist for the effort to Build Public Will For Arts and Culture being helmed by Arts Midwest and the Metropolitan Group. (http://www.creatingconnection.org/about/) I am currently the Director of the Grand Opera House in Macon, GA. Among the things I am most proud are having produced an opera in the Hawaiian language and a dance drama about Hawaii's snow goddess Poli'ahu while working as a Theater Manager in Hawaii. Though there are many more highlights than there is space here to list.